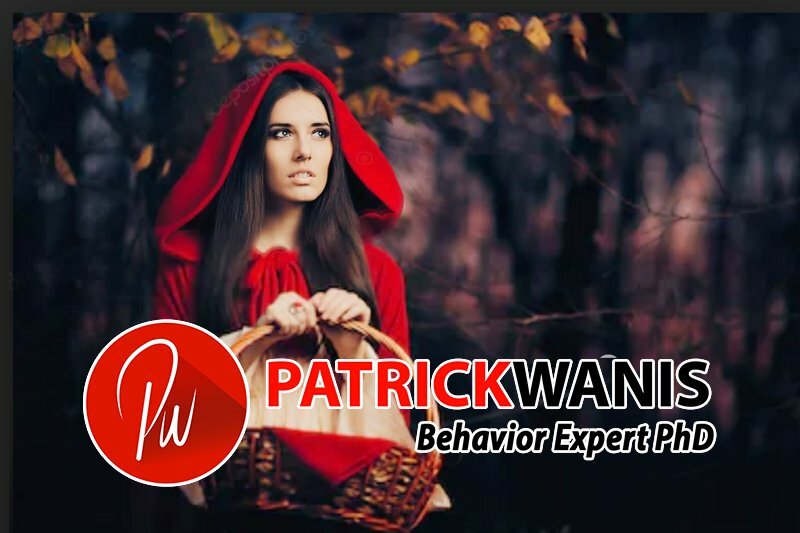 Mar 27, 2019 /in Success Newsletters /by Patrick Wanis Ph.D. In this week’s Success Newsletter, I would like to discuss vulnerability, what it is and the link to the fairytale of Little Red Riding Hood and The Big Bad Wolf. Now, let’s talk about vulnerability, what it is and the link to the fairytale of Little Red Riding Hood and The Big Bad Wolf. We all know the story of Little Red Riding Hood and the Big Bad Wolf. In the fairy tale, Little Red Riding Hood is walking through the forest to take a basket of food to her grandmother and she is told to stay on the path. The Big Bad Wolf who wants to eat her and her food suggests she pick up some flowers for her grandmother while he secretly makes his way to grandma’s house and disguises himself as grandma. His intention is to eat Little Red Riding Hood which he does in the first published version of this fairy tale. Little Red Riding Hood is vulnerable to the Big Bad Wolf. Most of us perceive being vulnerable as if we are Little Red Riding Hood and we are going to be devoured by the Big Bad Wolf! Accordingly, many people refuse to take risks by being vulnerable; they refuse to walk through the forest and instead shut themselves in a tiny room of a comfort zone that eventually turns into a prison. However, you cannot fully experience life, love, connection and belonging unless and until you choose to be vulnerable. Vulnerability is defined as the state of being exposed to being hurt. And yes, it is true that by being vulnerable you are taking risks; you might experience hurt or rejection or uncertainty; you might love someone and they might not love you back; you might open up and expose yourself emotionally and they might still reject you. But you can never experience love unless you are willing to let down that wall and take the necessary step of opening your heart and being vulnerable to experiencing hurt or joy. Many people fear vulnerability because they are afraid that they are going to lose something such as love, connection, recognition, approval, acceptance, inclusion or belonging. And yet, those things can only occur when you choose to be vulnerable. Vulnerability is also tied to resiliency. The more strength you believe you have to bounce back and beyond, the more willing you are to be vulnerable, to take risks. However, if you feel that you are not resilient, that you cannot bounce back from a hurt or rejection or disappointment, then there is less chance that you will dive into life and be vulnerable. What does being vulnerable imply? What do you need to do be vulnerable? 1. Allow yourself to be seen; remove the mask; stop hiding; be deeply seen. 3. Love with an open heart; love wholeheartedly; give of yourself even though you are fully aware that there are no guarantees that you will be loved back. 10. Stop seeking approval from others – stop oversharing on social media in the hope that people will like or validate you; stop purging; seek authentic connection. Finally, remember what most people long for – to experience once more the innocence of childhood just like Little Red Riding Hood – the passion, curiosity, openness, excitement and sense of adventure, living from your heart and all of your senses; this is vulnerability. If you would like to overcome a past hurt and tap into your resiliency to be vulnerable again, and to uncover your real worth, book a one-on-one session with me.